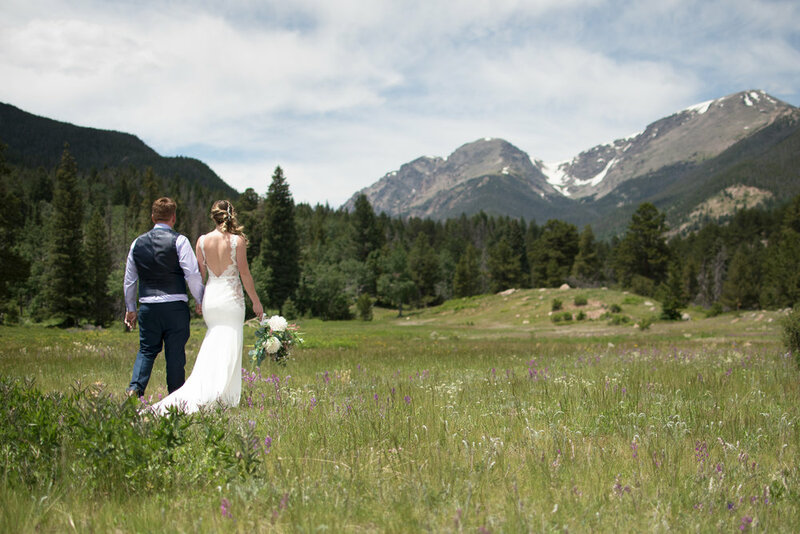 One of my brides was gifted half of a lovely wedding package for RMNP and Estes Park. The only downside to it was that the package was for an early afternoon ceremony. The couple was driven to and from the ceremony in a 1938 Rolls Royce. Since the groom wanted to go the more traditional route, he opted to be blind folded for the ride to the ceremony. It was perfect! While it's warmer out at that time of day, the sun is directly overhead and the shadows can be very harsh. You also have to watch out for where the key people in the wedding stand, especially when there's trees around. In this case, the officiant placed the bride in the shade (which is great) but unfortunately put the groom in the direct sun. Notice the mostly even lighting on the bride's face as opposed to the groom's face who is standing in the direct sunlight. 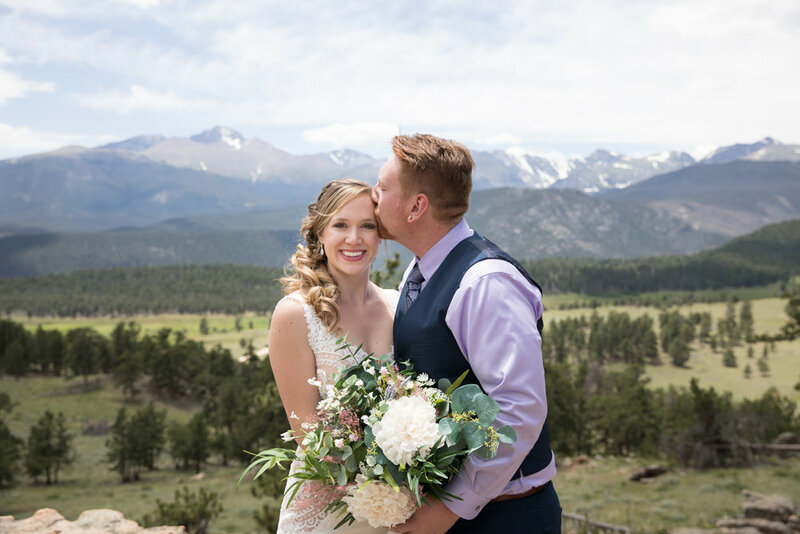 The good news is that we were able to catch some clouds during the portrait session which really helped capture some lovely wedding photos in Rocky Mountain National Park (RMNP). I can't wait to shoot there again, so please reach out if you're thinking of getting married in the mountains!